Jigsaws are the go-to tool when you have a need to cut a variety of shapes into a variety of materials, though wood is easily the most common medium. 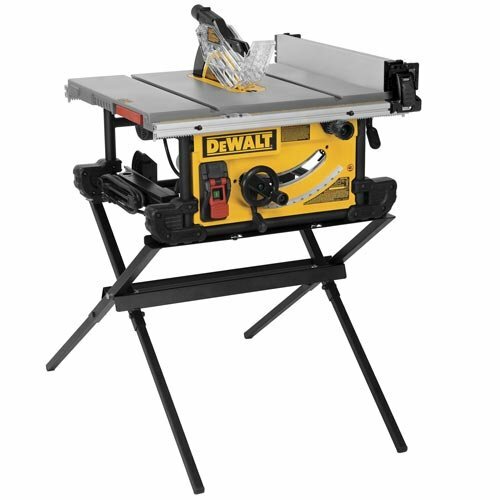 With a variety of features, many modern jigsaws also feature the ability to make bevel cuts for added versatility. We’ve taken a look at the best around and updated our list from 2018. 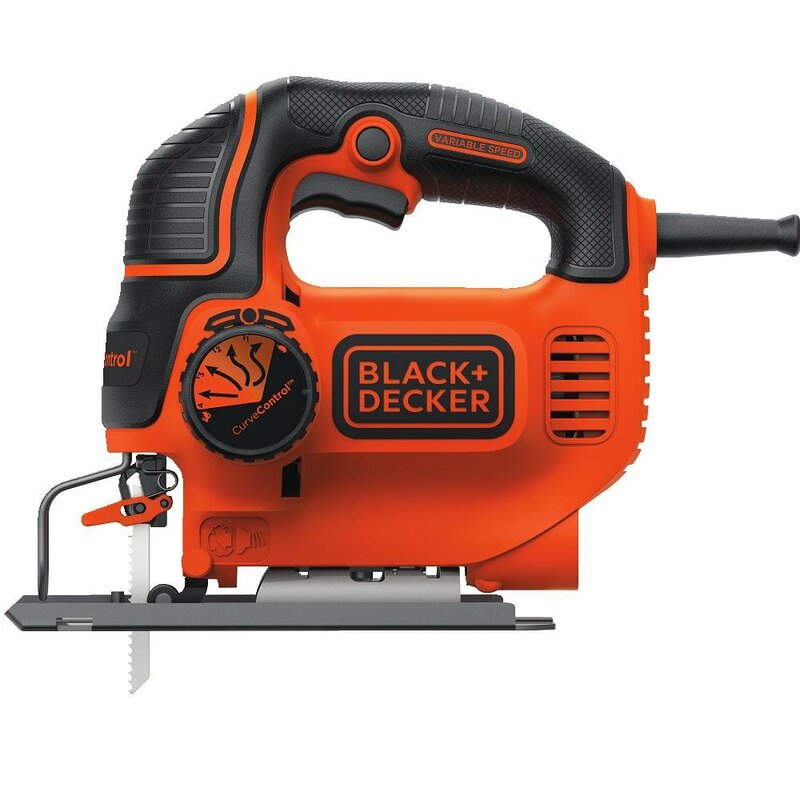 Black + Decker’s Curve Control technology allows you to set the BDEJS600C jigsaw’s orbit to one of four uniquely tailored settings for ultimate control and customization. 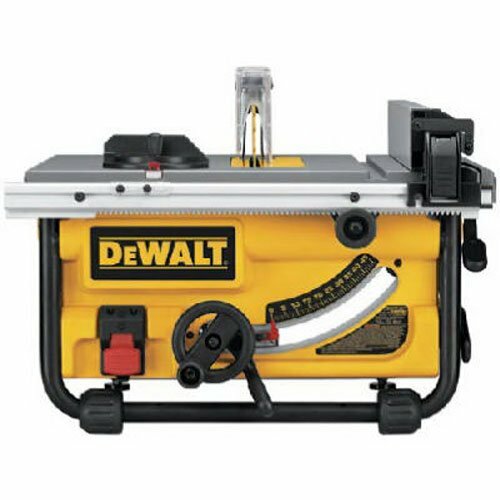 One of the standout features of this jigsaw its bevel cuts: It can make bidirectional bevel cuts up to 45-degrees. 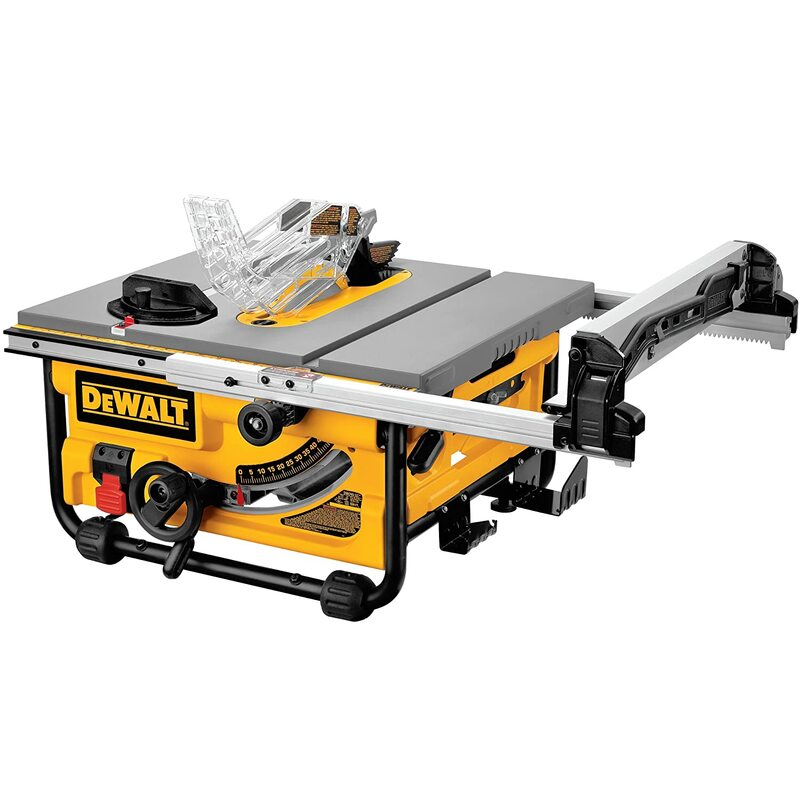 Additionally, the new adjustable shoe provides a more stable cutting platform, so you get better results with greater ease and less frustration. The new and improved Black + Decker wire guard makes cutting a lot easier. It provides an ultra-clear line of sight so you can always see what you’re doing, greatly improving cut quality, and, once again, minimizing frustration. 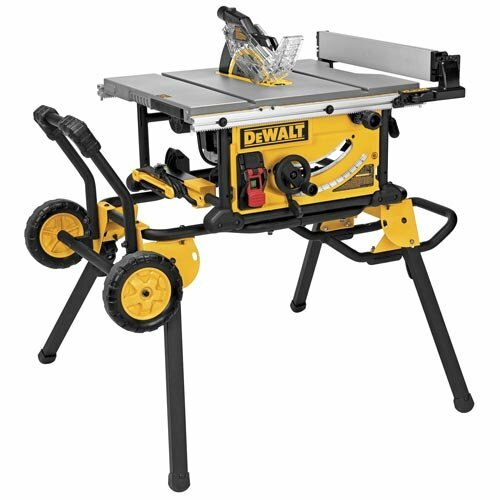 With a 5-amp variable speed engine, this handy jigsaw is capable of an impressive 3,000 SPM. The Black + Decker BDEJS600C’s keyless blade clamp allows for tool-free blade changes, so you never miss a beat, and up your productivity game in the process. This jigsaw accepts both U and T shank blades. The speed is controlled by trigger pressure. Normally, this is a good thing, but if you have arthritis or other issues with finger strength and dexterity, it may be a little hard to control speed. However, for the general population, this shouldn’t be much of an issue. 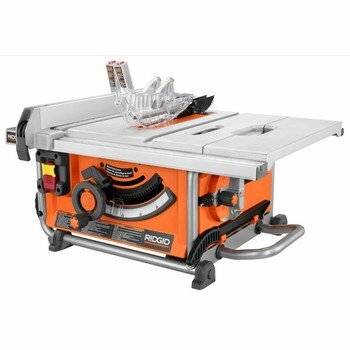 The 6-amp variable speed motor allows you to tackle each jigsaw application in no time, and easily control your speed for a tailored experience. The orbital cut control can be set to four different positions, resulting in improved versatility for a variety of needs. The built-in laser guide on the SKIL offering ensures you get the exact cut you want every time. 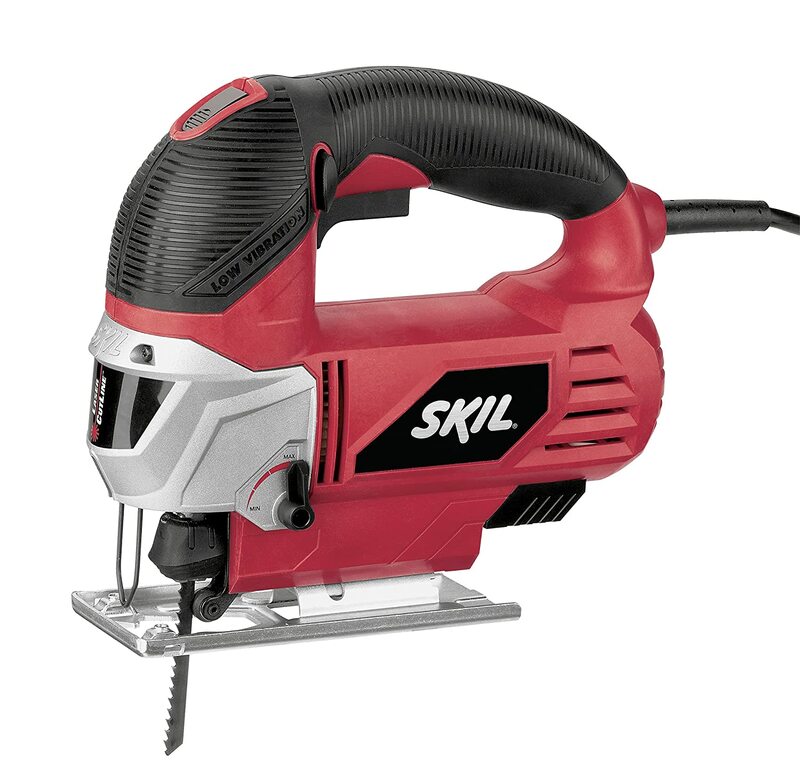 At 5 pounds flat, the SKIL 4495-02 jigsaw enables you to work with ease, minimizing fatigue, and improving ergonomics. The custom molded tool rest is a thoughtful addition, designed to prevent wear and tear on your jigsaw. It doesn’t come with a custom case, but you still get the bare tool and accessories, so aside of the case thing, the product is very comprehensive and has pretty much everything you need already inside the package. The 4.5amp variable speed electric-powered motor is capable of an impressive 3,000 SPM to get the job done in no time. 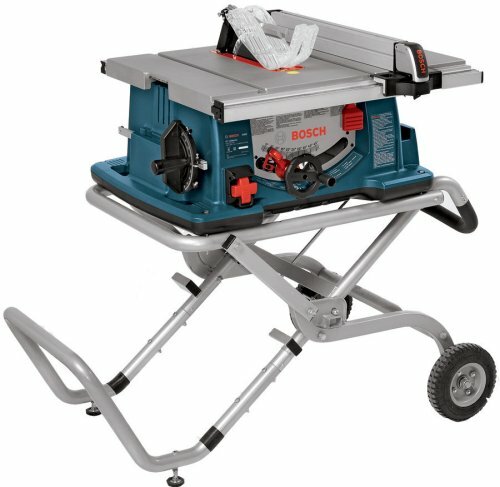 It can not only cut through wood and plastic, but metal as well, making it a very hardy option. Black + Decker’s new wire guard is a great improvement over its past iteration, allowing for a much clearer line of sight and ultimately better overall performance. The base plate can be tilted, allowing for bevel cuts up to an angle of 45-degrees. The dust blower is a premium feature which blows away dust and other excess debris, keeping you and your project clean. This also improves visibility, allowing you to have greater control over the quality of your work. 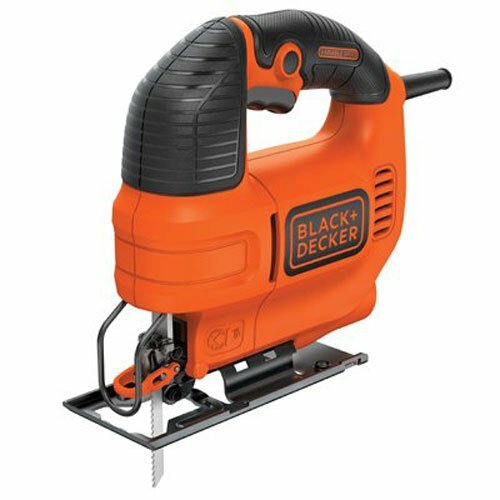 Like the other Black + Decker jigsaws with a similar trigger, this one also features a trigger that folks find reacts a little too easy, which might make it more difficult to control at lower speeds. 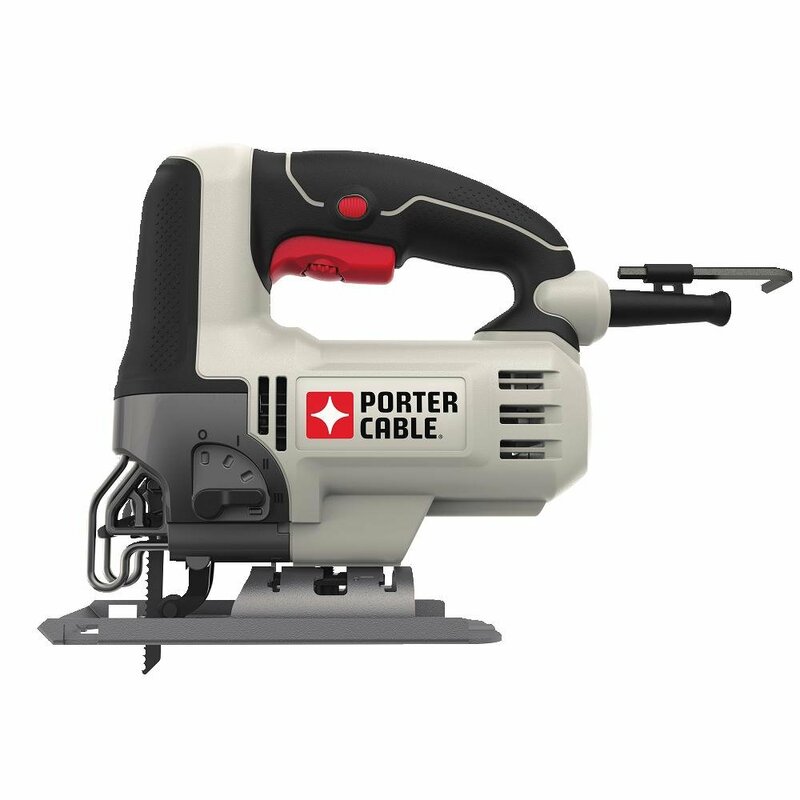 The 6-amp motor on the Porter-Cable jigsaw allows you to cut through tough material fast. A 7-position speed dial is directly integrated into the trigger for a streamlined experience. The 4 included orbital presets optimized your ability to cut through your desired material with ease. Tool-free blade change is another streamlining feature designed to improve user experience. 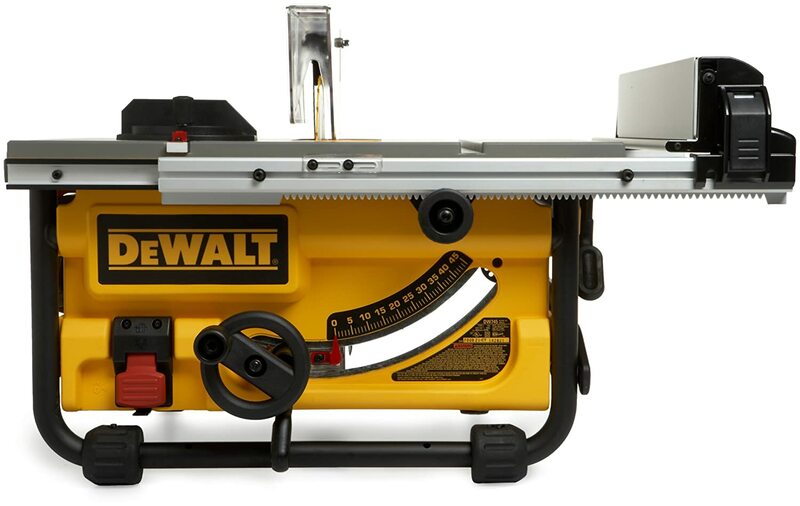 Most criticism regarding this jigsaw mainly has to do with the blade; some have found theirs isn’t properly leveled, which may signal a manufacturing issue. 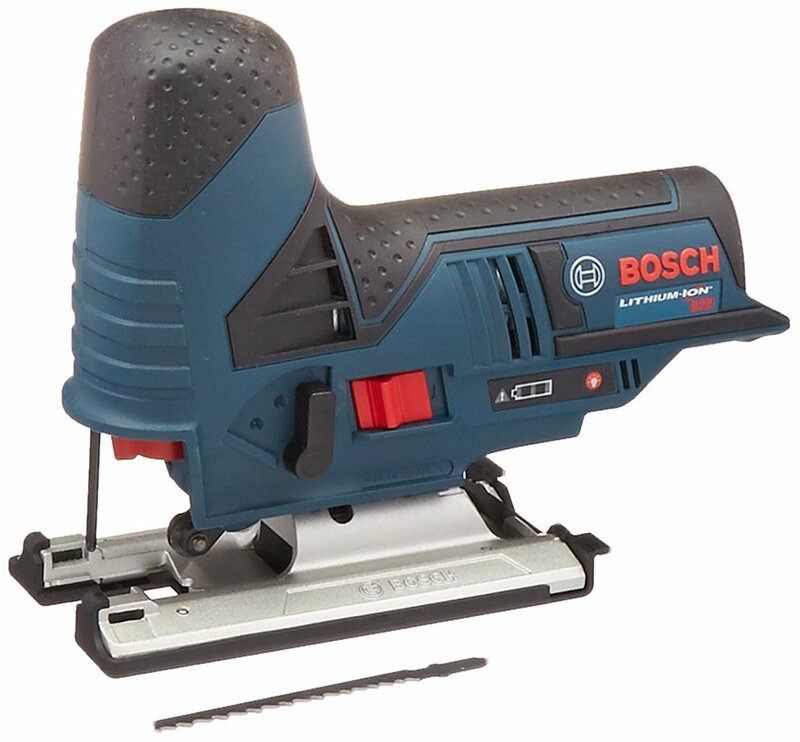 The Bosch jigsaw allows up to a 45-degree bevel cut, thanks to its adjustable footplate. Additionally, it features on-board bevel wrench storage. Blade insertion and ejection can be easily completed one-handed for improved workflow. 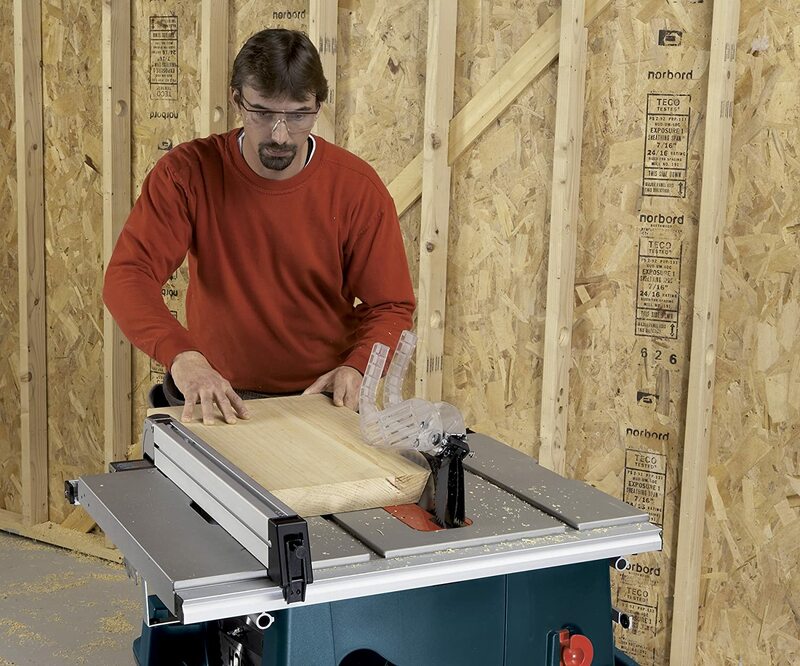 The Exact Fit Tool Inlay Tray from Bosch allows for seamless on-board tool storage. The battery and charger are sold separately; while this isn’t too big of a deal, it’s still a bit inconvenient.